BASKIN ROBBINS SCOOPS ARE ONLY $1.31 THIS MAY 31ST! - EAT WITH HOP! Home / CA / DEALS / DESSERT / ICE CREAM / BASKIN ROBBINS SCOOPS ARE ONLY $1.31 THIS MAY 31ST! 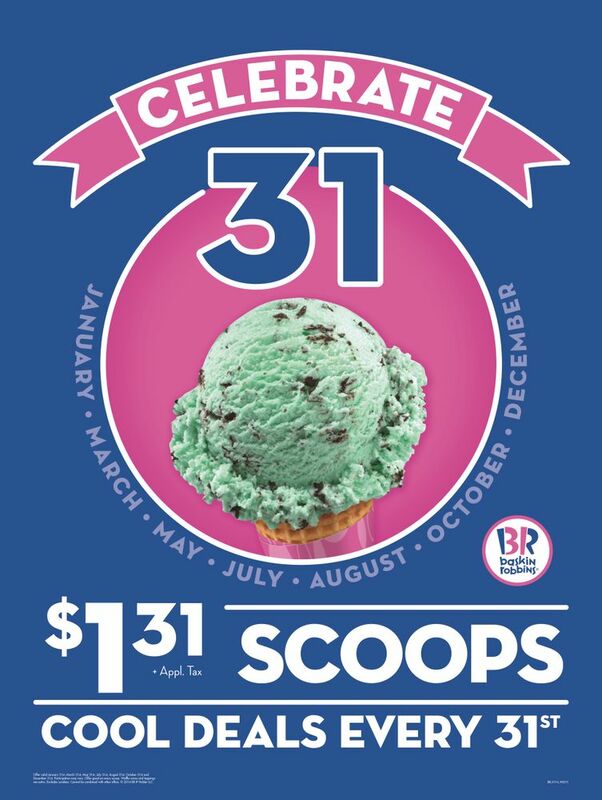 Did you know that every 31st day of every month, Baskin Robbins has this awesome $1.31 deal? I used to get it all the time! I absolutely love Baskin Robbins but I wish they regularly carry the Matcha + Oreo flavored ice cream like the locations in Japan. My faaaaaave flavor aside from Mint Chip which is too awesome by the way! Also, I got to enjoy a mint chip birthday cake that Kevin surprised me with yesterday from Baskin Robbins. Fun Fact: My birthday cake for almost every childhood birthday was an ice cream cake from here!